Tayseer Khaled, a member of the Executive Committee of the PLO, has raised concerns about the early Israeli elections, which are being utilized by Israeli PM Benjamin Netanyahu as a launching pad for a massive settlement plan in the West Bank, including Jerusalem'. The Israeli government is also implementing a large-scale construction plan to expand the Efrat settlement toward Bethlehem, which will siege the city. The establishment of this new settlement requires the construction of new roads and infrastructures. 14 ministries will be involved with the plan and allocate funds from their budgets to support it. According to the PNN, this plan is an extension of a large-scale settlement project that the Israeli government has been preparing for years. The Israeli army seized 1,700 dunams of private land in 2009, from the citizens in the region, in order to expand the Gush Etzion settlement. By confiscating land and treating it as ‘state land’, Israeli authorities aim to build 2,500 housing units. This project comes as part of Netanyahu’s efforts to win the votes from the Israeli right-wing. The expansion of Efrat is called E2 plan, similar to the E1 plan in East Jerusalem, which aims to connect Jerusalem with the settlement of Maale Adumim, and to completely isolate Jerusalem from its Palestinian surroundings. According to the National bureau for Land Defense and Settlement Resistance, 87% of the new housing units will be built in “isolated” areas – outside the existing settlement blocs. Thousands of units are being planned to the east of the Apartheid Wall and a few hundred to the west of it. 121 housing units are planned in the settlement of Yitzhar, to the south of Nablus, which is considered a stronghold of the ultra-right settlers. In addition, there will be two industrial zones near the settlements of Avni Hefts and Betar Illit. There is another plan calling for the establishment of a new settlement near the “Mishneh Danny” outpost, in the form of an internal educational institution. In his response to the question on the national strategy to confront the threat of Israeli settlement, Tayseer Khaled said, “Unfortunately, there is no national strategy against the threat of settlements, an imminent threat to the unity of the national territory and to the Palestinian national presence. What we have are policies that deal with settlements that succeed here and fail there. There are sporadic field battles in which citizens offer sacrifices in defense of the Palestinian land. This is an incorrect situation and needs to be changed, so that a national strategy can be developed. “I do not underestimate the importance of the peaceful popular resistance against the settlements taking place in more than one place in the West Bank, including Jerusalem. There are excellent examples of steadfastness against occupation in Bil’in, Ni’lin, Ma’asara, Azzun, Atzmeh Atmeh, Kafr Qaddum, Burin, Auref, Asira, Qaryut, Jalud, Qasrah, Jureish, Eastern Lebban and many others where the citizens fight their battles and make sacrifices worthy of appreciation and respect. It is a constitution of the First Intifada, in 1987, in terms of wide participation, and is inspired by the Al Aqsa Uprising in July 2017, which forced the occupation to step back on its decision. 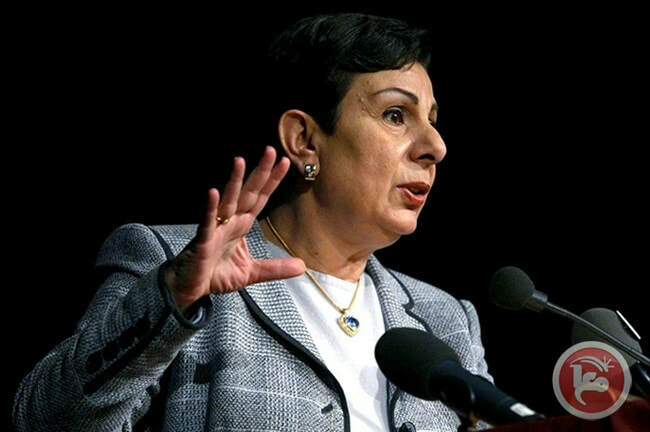 Palestinian Liberation Organization (PLO) Executive Committee Member Hanan Ashrawi strongly condemned, on Friday, Israel's opening of a new “Apartheid Road” in occupied West Bank, segregating Palestinians from Israeli settlers by an eight-meter-high concrete wall. Ashrawi also condemned Israeli plans to seize 1,200 dunams (300 acres) of occupied Palestinian land in Bethlehem to expand the illegal settlements of Efrat and Gush Etzion, including land inscribed as world heritage under threat by UNESCO. Israel has opened Route 4370 in Jerusalem, in the central occupied West Bank, dividing Palestinian and Israeli settlers. The Haaretz news outlet reported that the highway, which has been called the "Apartheid Road," is divided in the middle by a high wall; the road's western side serves Palestinians who cannot enter Jerusalem, whereas its eastern side serves Israeli settlers. 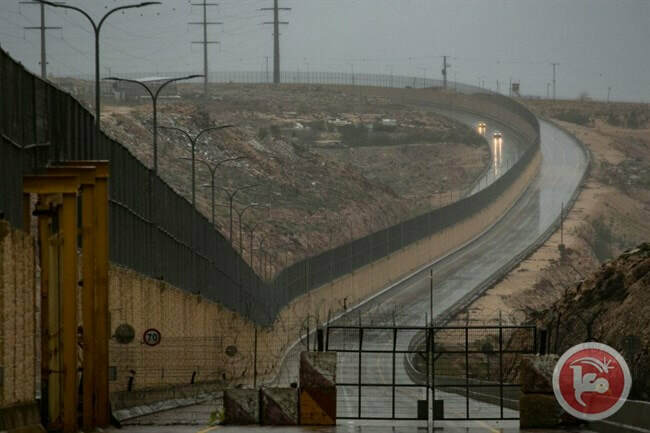 This is the first wall to have a wall along its entire length, dividing Palestinian and Israeli drivers, however, the West Bank has many segregated roads. Haaretz added that the road was built over a decade ago but remained closed due to a dispute between the Israeli army and police over the staffing of a new checkpoint that opened because of the road; the road has recently been renovated. Most of the route's users are expected to be Israeli settlers living north of the city; drivers on the Palestinian side will be able to go around Jerusalem without having to enter the city. 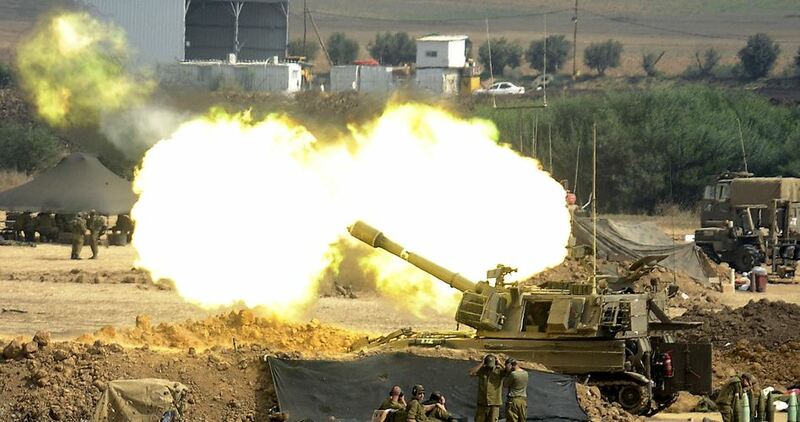 "Israeli army bombards densely populated Gaza in 2014"
The Canadian Broadcasting Corporation (CBC) has published an expose on a Jewish charity in Canada, which has been under investigation for using donations to build infrastructure for the Israeli army in violation of the country's tax rules. According to CBC, the Jewish National Fund (JNF) of Canada, one of the country's long-established charities, has been the subject of a Canada Revenue Agency audit after a complaint was filed in October 2017. The JNF of Canada funds numerous projects in Israel, such as reforestation efforts in areas hit by wildfires, but according to official accusations leveled against it, it has also funded infrastructure projects at Israeli army’s ground, air and naval bases,. Such JNF activities has violated the Canadian law which prohibits charitable funds to be used for supporting a foreign army. CBC's article details many troubling aspects of the charity's projects which, along with funding infrastructure on Israeli military bases, it has also contributed directly to the construction of at least one hilltop settler outpost in the occupied West Bank, where Israel’s settlement activities are considered illegal under international law. The Jewish group, which disclosed to donors last year that it has been under audit by the Canada Revenue Agency (CRA), claimed it stopped funding those projects in 2016. However, a complaint, which was submitted in October 2017 with the support of Independent Jewish Voices Canada (IJV), presented detailed evidence that JNF of Canada still works in violation of the Income Tax Act and contravenes Canadian foreign policy in numerous ways. According to CRA guidelines, funding for projects intended to increase the "effectiveness and efficiency" of a foreign military cannot be considered charitable and therefore should not be tax-deductible. "It is unconscionable that Canadians are subsidizing an organization that has used tax-deductible donations to support the Israeli military, especially when that army has killed nearly 200 unarmed protesters in Gaza this past year, including medical personnel, members of the media, and children," CBC quoted Canadian Rabbi David Mivasair, one of four complainants, as saying. According to IJV, JNF of Canada has funded well over a dozen projects to support the Israeli forces in the last few years alone, and has officially partnered with the Israeli forces and the Israeli ministry of defense. Its military projects include "the new planned [Israeli military] training base city in the Negev" desert and "helping the development of the Bat Galim (naval) training base complex area", according to CBC. In 2014, JNF of Canada held a Negev Gala dinner, where proceeds were to "develop three areas of the Negev's Tse'elim army base, the largest military training facility in Israel and the national center for ground forces training. JNF of Canada has also funded security roads along Israel's borders with Lebanon and Gaza, which in the words of JNF itself, are designed to "enhance military activity" in these border regions. Fifteen million dollars of tax-deductible Canadian funds have also contributed towards building JNF Canada's flagship project, Canada Park, along with a new adjacent Israeli settlement. The park was built on militarily occupied territory, over the ruins of three Palestinian villages which Israeli forces depopulated and demolished in 1967 as well as the lands of a fourth, IJV was quoted as saying. 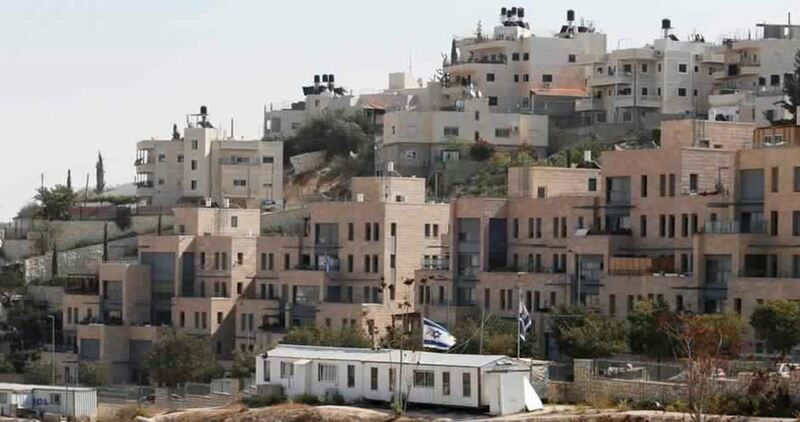 The Israeli ministry of construction and housing and the municipality of Ma’ale Adumim settlement have published tenders for 585 apartments to be built in the illegal settlement in the occupied West Bank. Ma’ale Adumim mayor Benny Kashriel posted on his Facebook page (in Hebrew) that the city (settlement) published five building tenders for 585 apartments to be built in Ma’ale Adumim. 459 of those apartments will be located in Kikar Kedem area which is near the old soccer field, 104 apartments in Hagitit Street and 22 in Nofei Sela, according to his Facebook remarks. The Ma’ale Adumim municipality also published tenders for two hotels. One hotel will be next door to Canion Adumim (the mall) and one near Tsvika Grove (next to Park Shamir). The settlement expansion project will also include the building of infrastructure for the apartments and hotels such roads and walls. In addition to the apartments, there are tenders for the construction of public facilities such synagogues, schools, and sports and cultural centers. 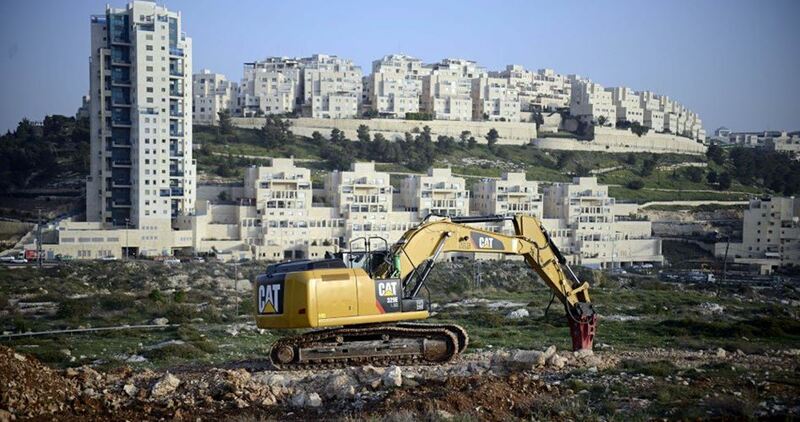 Israel intends to launch a new project to build 2,500 settlement units on Palestinian lands near Efrat settlement in Bethlehem, Jerusalem Post said on Monday. Israeli anti-settlement groups, including Peace Now, believe that the project, named E2, would prevent any further development of Bethlehem. According to Jerusalem Post, after an Israeli settler from Efrat settlement died in a stabbing attack in September, Efrat residents renewed calls for a new settlement project in Khillat al-Nahla area in Bethlehem, which the settlers call Givat HaEitam. Israel's so-called Civil Administration allowed Efrat settlers to create an agricultural facility on the site. On 26 December, the administration posted a notice on its website announcing plans for new housing units on 1,182 dunums of Palestinian-owned land. 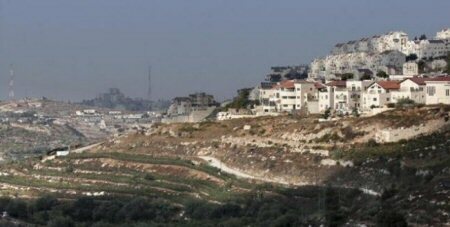 Israel in 2009 confiscated about 1,700 dunums of Palestinian land located north of Bethlehem in preparation for annexing them to Efrat settlement. 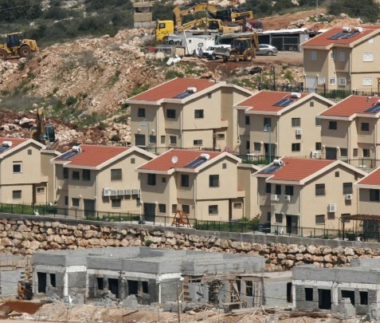 The confiscation move was aimed at paving the way for the construction of 2,500 settlement units in Efrat after obtaining the government's approval. The current and sudden movement on the project, Jerusalem Post said, comes as Israel's Prime Minister Benjamin Netanyahu seeks to win the support of right-wing voters. Israel holds that Efrat, which is part of Gush Etzion settlement bloc, will be part of its final borders in any final status agreement with the Palestinians. E2 project in Efrat is in many ways similar to E1 which is aimed at isolating Jerusalem from the rest of the West Bank. Peace Now said in a statement that Israel had "crossed a redline" and that the project "could deal a fatal blow" to the chances for peace and the possibility of a two-state solution to the Palestinian-Israeli conflict. Efrat is one of the fastest growing settlements in Gush Etzion. It is also the second largest community in the bloc, with over 9,000 residents. Israel has blatantly ignored all international resolutions condemning its settlement construction activity in the occupied Palestinian territories, the latest of which was the Security Council Resolution 2334 in 23 December 2016, which called for an immediate halt to the settlement construction in the West Bank and Jerusalem.